How To Use Estimate At Completion (EAC) Formulas In Project Management? / How To Use Estimate At Completion (EAC) Formulas In Project Management? Do you think Estimate At Completion (EAC) is a misnomer? I think it is. How can you estimate anything when it is already complete? Well! That is Earned Value Management (EVM) for you. It has many confusing terms. But you don’t have to worry. You are at the right place. You will find detailed explanation of EAC in this post. After reading it, you will have complete understanding of EAC definition and meaning. You will learn about EAC formulas, calculations, and examples. You will know how Estimate At Completion formulas can be used in Project Management (PM). You will see detailed exposition of the EVM forecasting concepts and understand the difference between EAC and Estimate To Complete (ETC). 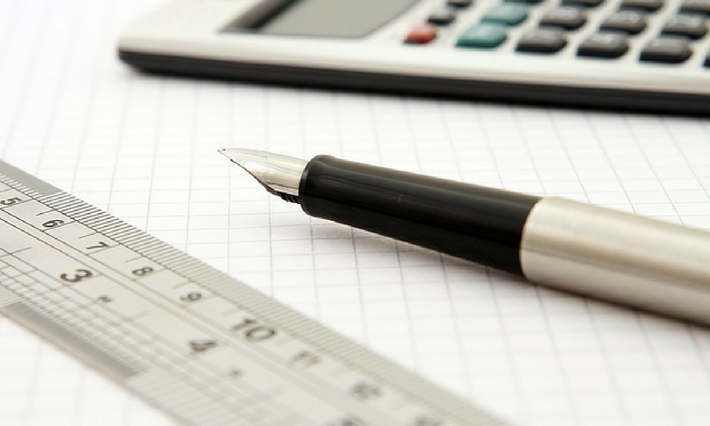 Lastly, this post will be extremely helpful for you if you are confused about the EAC formulas for PMP exam. The expected total cost of completing all work expressed as the sum of the actual cost to date and the estimate to complete. Even though the PMBOK Guide’s definition is appropriate, it is somewhat confusing. Let’s consider the following situation. You are managing a project. A part of the work has been completed. Your Sponsor comes and asks you how much money would be needed to complete the project. How will you respond to the Sponsor’s question? It is simple. You just have to calculate Estimate At Completion and share the number with the Sponsor. Estimate At Completion is the estimated total amount of money needed to finish a project. It is the sum of the Actual Cost (expenditure already incurred) till the control date and Estimate to Complete (expected cost of remaining work). You can also refer to Max Wideman Glossary to read some other standard definitions. In EVM, the original and expected project budget is expressed as BAC and EAC respectively. BAC is approved budget at the start of a project. EAC is determined periodically at different control points as the project progresses. The funds requirement of a project may change after the project starts. The original budget may no longer be valid. The project team may need more or less funds to complete the project. This can happen due to various reasons like cost variances, risks, incorrect assumptions etc. The team can analyze the reasons for the change and estimate or forecast a new budget. The new budgetary forecast is called Estimate At Completion. It becomes revised project budget after the Sponsor’s approval. ETC is the expected cost of completing the remaining project work whereas EAC is the estimated budget to complete all the project work. In my experience, most professionals are confused about the difference between EAC and ETC. I think PM books have not treated this topic well. The books describe EAC and then derive ETC. But, it should be done the other way. EAC should be derived after finding ETC. It will be much simpler to understand. Let’s read the PMBOK Guide’s definition of EAC again. EAC is the sum of the actual cost to date and the estimate to complete. So, EAC should be calculated only after computing ETC. You should read my other article on Estimate To Complete before reading this article. I have taken many references from that article to explain EAC formulas. This is the only equation that we need to solve the PMP exam questions. It can be used to derive all the other formulas. I will derive and explain following formulas in the subsequent section. The PMBOK Guide lists only 4 formulas. Most of the PMP study guides also talk about these same formulas. But, I have provided a more rounded view. Let us derive each one of them. You should read my article on ETC in parallel for all the scenarios and examples. The above formulas can be mathematically derived by suitably replacing ETC figure in our generic equation with a ETC formula from my article on Estimate To Complete. First one is same as our Generic Equation. The PMBOK Guide lists Formula III but does not talk about Formula II. I have listed both these formulas separately as the former is a special case of the latter. In fact Formula IV is also a special case of Formula III. Let us mathematically solve Formula III above. Formulas II and IV are also referred to as Independent Estimate at Completion (IEAC). This expression is similar to the Formula II above. However, it uses projected future CPIp instead of past CPI to calculate ETC. The term “Bottom-Up” has no specific significance. It just means that a fresh ETC should be determined by using Work Breakdown Structure (WBS). It can by found by determining the cost of remaining (unfinished) work components (work packages and activities) at the bottom of WBS and then aggregating them Upwards. The Sponsor wants to know the budgetary cost estimate for finishing the project work within the original schedule at current CPI. None of the above expressions will work in this case. We need to factor in schedule performance as well. We already know that project’s current efficiency is measured by two indices – Schedule Performance Index (SPI) and Cost Performance Index (CPI). A SPI of ‘S’ means that ‘S’ units of work was done in each duration unit (e.g. a day). A CPI of ‘C’ means that $C worth of work was done for each dollar spent. We have to consider both CPI and SPI to determine the budgetary cost to complete the project work within original schedule at current CPI. There is another variant of the above expression, which can also be used for calculations. In the following formula x & y are weights given to CPI & SPI respectively. These weights signify how much importance the project team is willing to give to each performance factor. The sum of x & y should be 1, e.g. 0.2 & 0.8 or 0.5 & 0.5. How To Use EAC Formulas In The PMP Exam? The PMBOK Guide describes only 4 formulas. In this post, I have extended the concept further to describe a generic equation and 8 different formulas. If you are preparing for the PMP exam, only PMBOK Guide’s formulas should be sufficient. 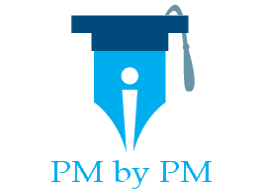 Here is my brief take on how you should solve the PMP questions. EAC provides an revised estimate to complete the project work. It is a derived from ETC. EAC and ETC are important metrics to gauge the health of a project. They should be revised periodically as project progresses and moves towards the completion. There are number of other formulas in EVM. You can read Earned Value Management Formulas for a quick snapshot of all of them. You need to understand the these to answer the PMP questions correctly. A mere memorization of the formulas is not useful. You may not be able to apply the correct formula in the exam question. It is better understand the concept and then apply the formula(s) as required. EVM is difficult topic. Do you still have any confusion about Estimate At Completion? You can write your question in the comments section below and I will respond to it. Nice blog with nice info. been using prmavera for a long time. Never realized that primavera supports all this. Good read. project management cannot be done with formulas – formulas help decision making. This was great. Hey! Can you make a detailed guide with some examples – even at a cost. Pmbok mentions only 4 formulas, but no explanation. This was crystal clear. Tks. On page 224, the PMBOK states “If future work will be accomplished at the planned rate, use: EAC = AC + BAC – EV” which is different from the you stated for formula II “project’s past performance was atypical” the resultant expression will be EAC = AC + (BAC – EV). If “Atypical does mean that work will not continue at the same rate.”, then we shouldn’t use EAC = AC + (BAC – EV) per PMBOK? Both PMBOK Guide and my article say the same thing; language is bit different. PMBOK Guide talks about the “future” (future work will be accomplished at the planned rate) while my article talks about the “past” (project’s past performance was atypical) while explaining the formula. After reading your comment, I think, a more appropriate statement would be “project’s past performance was atypical but the future work is forcasted to be accomplished at the planned rate”. Let me make this change. I wondered what was the best formula to calculate the costs to finish when you want the project to end as soon as possible and your activities are late at the actual date. AC = BC / SI -> revise approach. I understood that cost calculated with formula II corresponds to a completion time given by AC original and cost calculated with formula IV corresponds a time given by AC revise. Is it right? To answer your Q about “costs to finish when you want the project to end as soon as possible”, you have to define what is “as soon as possible”. But if you want to finish the project within original schedule, then you can consider using Formula V. Regarding the other things that you have written, they are not part of EVM. Probably you are reading about earned schedule which is not part of PMBOK Guide. That is the remaining 1500h of planned work are expected to take 3000h. If the delay in the first month was solely due to a lack of manpower, which is now available in the second month, I would expect the remaining 1500h to be completed in 1500h (since that reflects the previous cost performance). Why is not this the case? Good Q. Ans to your Q is in last part of your comment – “…delay in the first month was solely due to a lack of manpower…”. 1. Manpower was not planned initially and additional manpower was added in second month – Additional manpower will make the project more expensive. 2. Manpower was planned initially but was not available. In second month requisite manpower is available – If this is the case then you are applying the formula incorrectly. SPI will be substantially more than 0.5. You would have noticed that Formula V is an extension of Formula III. Just read the note associated with Formula III again. For calculating EAC, you can either use current SPI or future projected SPI. For this particular case SPI cannot be the current SPI. It will be future projected SPI. Thanks for your clarification Praveen! I think the problem at my workplace is that we always use the current SPI for future estimates, regardless of the specific reason for a very low SPI. I take your comment ”If this is the case then you are applying the formula incorrectly. SPI will be substantially more than 0.5.”, as that the incorrect usage you are referring to is that I use the current SPI instead of the projected future SPI, and that you mean that ”THE PROJECTED FUTURE SPI is substantially higher than 0.5″. Is this a correct interpretation? With regards to your answer nr.1 I do understand that additional manpower MAYBE and PROBABLY causes extra costs, but I still don’t see how this is directly related to the SPI? In my example above we have planned 1000h to be performed each month, but due to non-availability only 500h were performed in month 1. This could for example be recovered by hiring extra (perhaps external) manpower to perform the ”500h lost hours of month 1″ in month 2. If these hours (for example) are charged with a 40% premium compared to the normal manpower, it will only affect the total cost at project completion with 10% (500/2000*40%). With the formula V proposed above though, the impact will be as high as 75% (3500-2000 / 2000). Also, I interpret the EAC as the expected number of hours consumed at the project completion, not the actual monetary cost of them. Can you please provide further explanation on this topic? EVM is more than formulas. The formulas mentioned this article work in specific scenario (as described in the article). In addition, if you apply formula with incorrect values then the answer will come out to be incorrect. Having said that, you have not given the complete problem statement in your comment above. e.g. BAC and total number of months are missing. So, at best, I can speculate to answer your Q.
I would suggest you to go back to drawing board and understand the definition of EVM terms. 1. CPI is cost efficiency (cost of work)/(funds). Current efficiency is EV/AC whereas future (projected) efficiency is (BAC-EV)/(BAC-AC). Refer to my article on TCPI https://www.pmbypm.com/to-complete-performance-index to understand more. 2. SPI is similar. It is schedule efficiency (work)/(planned work). Current efficiency is EV/PV whereas future (projected) efficiency is (BAC-EV)/(BAC-PV). Lastly, as I gather from your problem statement, both projected SP & CPI are different from the current efficiencies. So, in order to to apply Formula V correctly, you will have to put projected efficiencies. Have you had the time to look into my second comment above? Thank you for giving additional source for PMP test.